“Fantastic Beasts: The Crimes of Grindelwald apparates in to theaters November 16th, and they just released their final trailer! It’s full of action with lots to unpack along with one big revelation. Take a look here! Warner Bros. debuted the final trailer for “Fantastic Beasts: The Crimes of Grindelwald leading up to its release in less than two months. There’s lots of action and revelations in this 2:23 trailer, too. I’ve always wondered if Dumbledore was really trying to fulfill the prophecy with letting Harry be bait for Voldemort or if he was lowkey passing off some of the danger, but with this new series, it seems like Dumbledore has a history of throwing people who look up to him under the Knight Bus…if you know what I mean. Seriously, he knows how awful and powerful Grindelwald is, and he’s sending Newt out there with a secret card in case he needs a cup of tea and place to hide in Paris. SIR. This is a major character flaw, and I’m having trouble seeing beyond it. Even with Jude Law filling out that suit like it was in his job description. Have you seen the trailer yet? I got it right here for you. Just whoa. Back up a minute. Voldemort’s snake, Nagini, is actually a woman. She’s a maledictus (someone who can transform between their human and animal self) who eventually gets stuck because of a blood curse, and Voldemort survives off her milk (venom?!) down the road? I’m all for connecting your worlds, but we have a huge connection already in Grindelwald and Dumbledore. Leta LeStrange is out here representing the Black family tree. Newt’s grandson marries Luna Lovegood for goodness sake! Not to mention, Nicolas Flamel finally makes an appearance on screen! We know we’re in the same wizarding world as Harry James Potter. In conclusion, just because you can doesn’t mean you should. Honestly, I hope my confusion is misplaced, and it turns out fine. I don’t have high hopes, though. They’ve already shrugged off Dumbledore’s sexuality even though he sees Grindelwald in the Mirror of Erised in the trailer. I love Harry Potter so much, and I’m excited to see this part of wizarding history brought to life. I do adore Newt Scamander so. 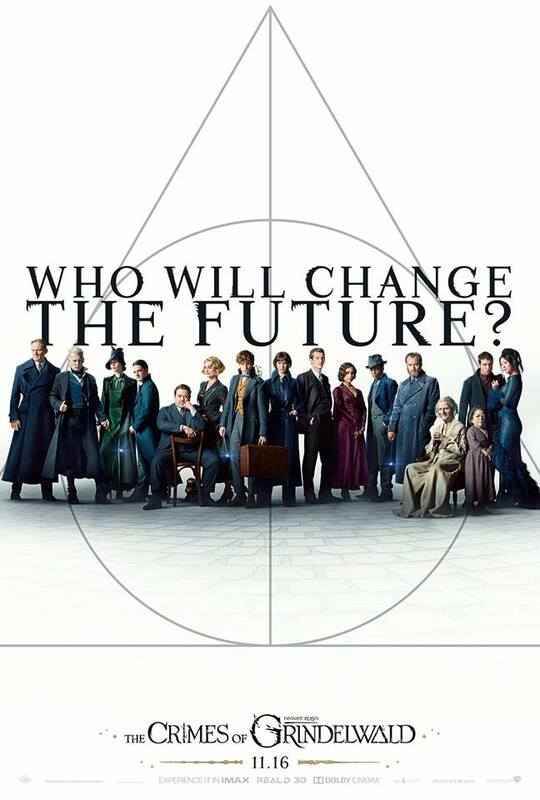 “Fantastic Beasts: The Crimes of Grindelwald is in theaters November 16, but look for ticket pre-order to start soon.